The other day, Jamie Carragher did what he does best (apart from heroic, last-ditch defending) and got into a war of words with Leicester’s Danny Simpson on Twitter. 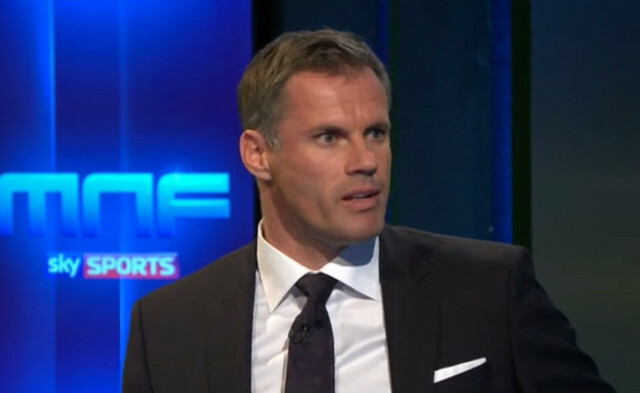 Simpson called out Carragher for not having won a Premier League title, after our legendary former defender questioned the commitment of Leicester’s players for turning up against Liverpool but playing so awfully under Claudio Ranieri previously. “What do you reckon – because Jamie Carragher has been giving it a little bit,” Redknapp told the Mirror. “Like Neville, I’m not sure Gary could be a fighter. I wouldn’t want to fight Thierry because he’s got those eyes, that long reach. “But Carra, we’d probably be on the same weight, he’s an aggressive Scouser – I think we’d have a good fight. Obviously, Carra wasn’t having any of this, and promptly alerted his followers on Twitter that he’d take both Simpson and Redknapp any time he fancied! First I was called out by one of the worst defenders to win the PL now a spice boy! Fair play, Jamie – we’d back you in both (but go easy on your namesake, he means no harm! ).